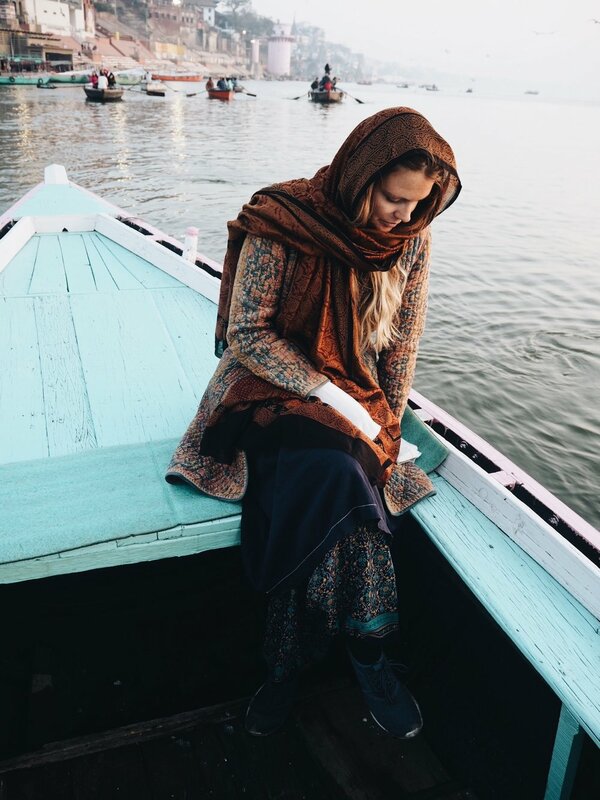 We say farewell to India with a peaceful morning wander along the Ghats of Mother Ganga. 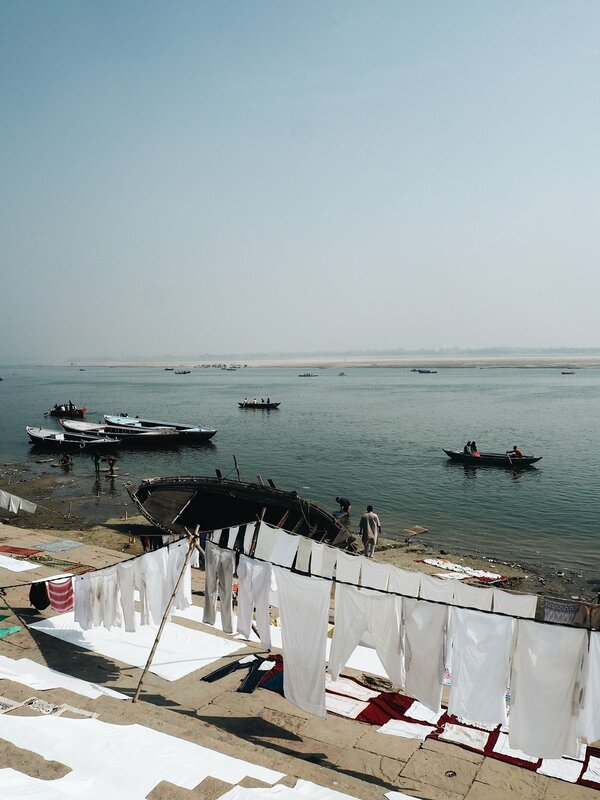 Varanasi is by far the most chaotic and unapologetically indiscreet city we have visited. Daily life gets under way early here, with its ever constant balance. 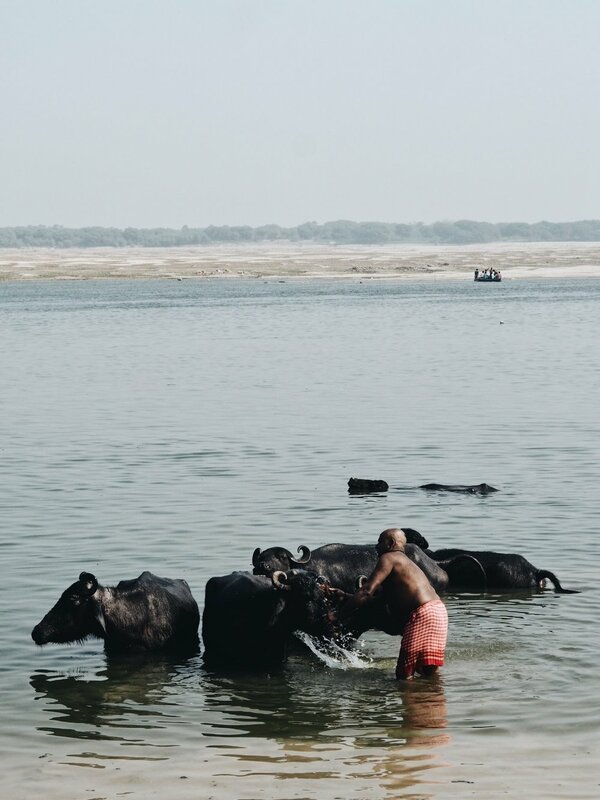 The sun burns through the ash and smoke, washing peach and violet hues over Mother Ganga. Hindu worshipers make water offerings to the sun god, bathers rinse in her cool shores and the funeral pyres are lit sending ash of the years lived on earth into the sky. Day and night the smoke from the cremation sites plumes the sky. We watch on from afar at the most intimate rituals of life and death taking place all around us. As the moon lights the sky we gathered on Dashashwamedh Ghat to watch the evening Aarti ceremony, from the Sanskrit Aratrika, a ritual that dispels darkness. 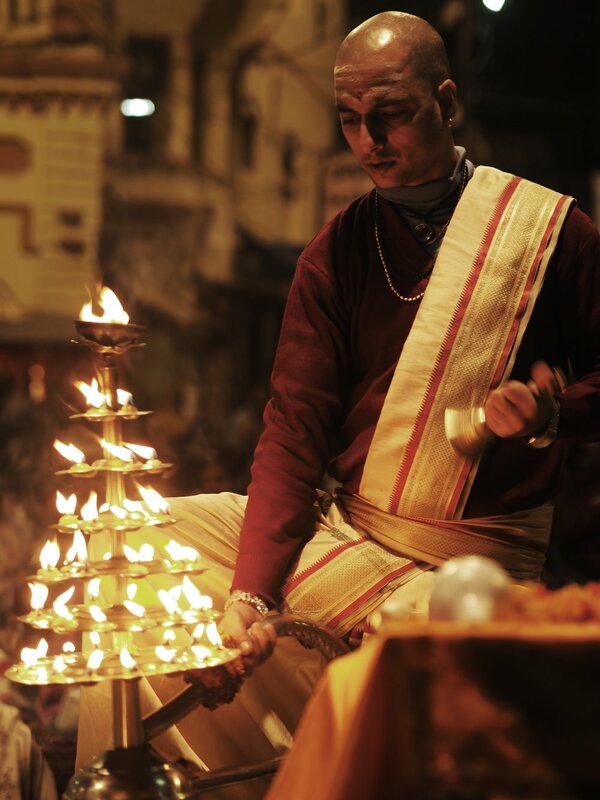 The incense represents the removal of darkness and purification of the mind. 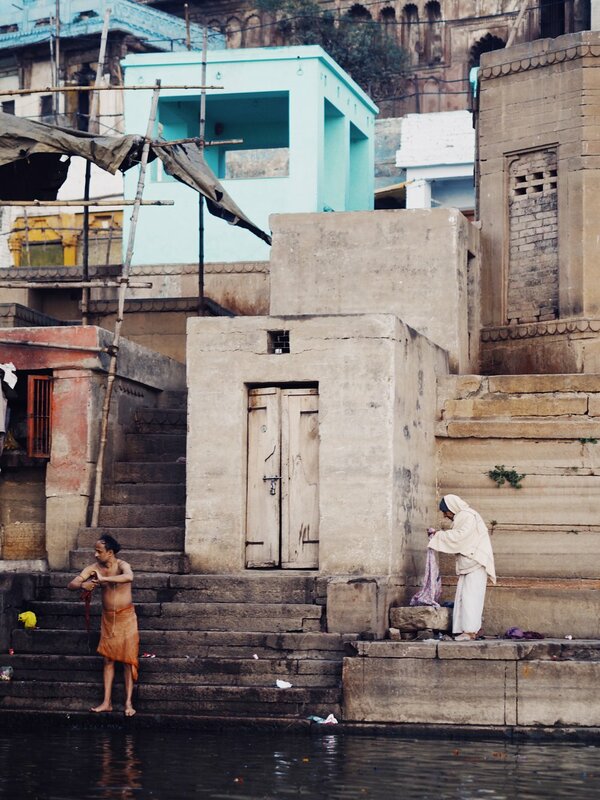 Varanasi is vibrant yet raw and wildly unpredictable. A vastly different life to what we know that demands patience and acceptance. Undoubtedly, it has taught me more about life and humanity than any other experience. It has forced me out of my comfort zone into a new realm of adventure where compromise and compassion are so important.